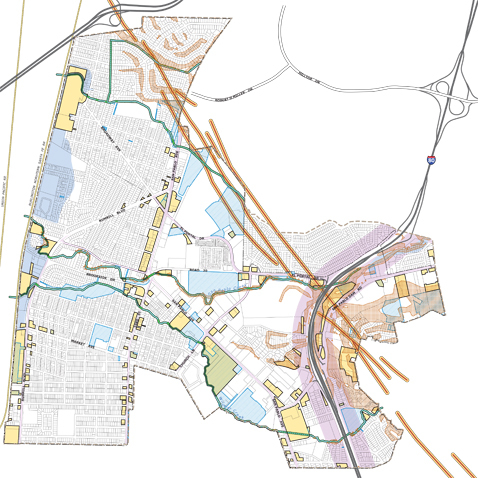 San Pablo’s General Plan establishes a new vision for the city, one that fosters mixed-use development along the city’s transportation corridors and enhances San Pablo’s environmental quality. The General Plan was prepared synergistically with the San Pablo Avenue Specific Plan (also prepared by Dyett & Bhatia). 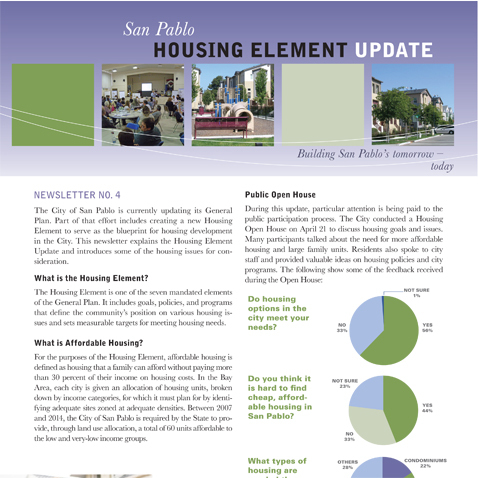 In addition to the usual General Plan elements, the San Pablo General Plan includes several optional elements. The Economic Development Element establishes policies to build a diversified job base, expand education and training, and develop regional attractions for the city. Provide an explicit and direct public health perspective, and a mechanism for navigating health-related policies that appear throughout the rest of the General Plan. Crime Reduction and Perceptions of Safety.